At the June 11, 2018, Board of Education meeting, the District's new five-year strategic plan was adopted. A presentation, led by Director Personnel Patrick Farrell, at the August 13 Board of Education meeting, highlighted the key areas of the plan that will direct the initiatives of the District throughout the next five years. 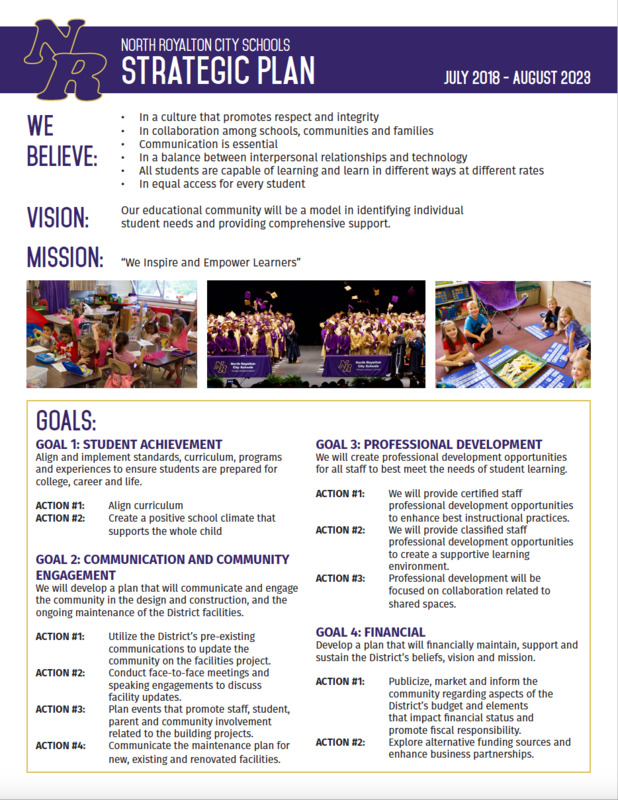 The District's mission to "Inspire and Empower Learners" remains. We thank the members of each goal committee who took the time to meet, review the action steps, and set the District on a positive path for the future of our students. Click here to review the entire plan.